In Dubai, where the police drive Bugatti Veyrons and supercars can be found abandoned by the roadside, it should not surprise you that special license plates sell for significant sums. But the 33 million dirhams (approximately $9 million) bid for the “5” license plate is still shocking, even by Dubai standards. The 5 license plate was sold at a state-run auction earlier in November to a property developer by the name of Balwinder Sahni. He also owns the “9” number plate which he acquired in 2015 for $6.7 million. 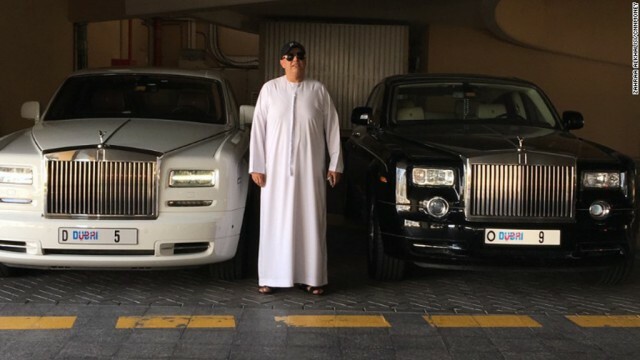 The license plates are affixed to two of the six Rolls-Royces in his fleet which is soon to expand with two more of the British luxury cars. Speaking with CNN, Sahni said the plates bring him a lot of attention, though not always positive. He said people sometimes tell him he wastes his money. “It’s hard, people giving comments without knowing the type of person I am,” Sahni said. In Dubai, and most of the other emirates that form the UAE, the most sought-after plates are those that consist of a single digit. They’re sold to the highest bidder at state auctions, often to raise money for charity. ‹ Previous Is LeEco really in trouble? How fast is the automotive landscape changing?